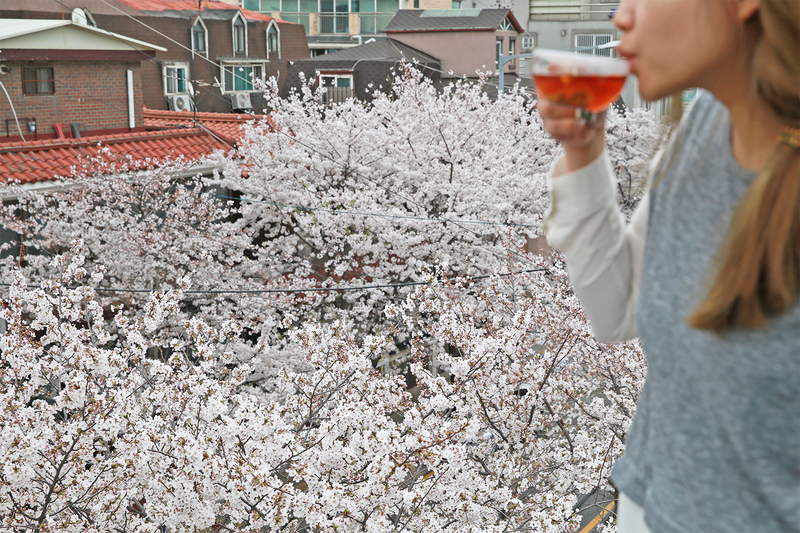 Ahh~ Spring time or specifically Cherry Blossom season gets me in the mood for long walks and longer tea breaks whilst staring at the blooms and spacing out to Hoagy Carmichael Two Sleepy People on loop. 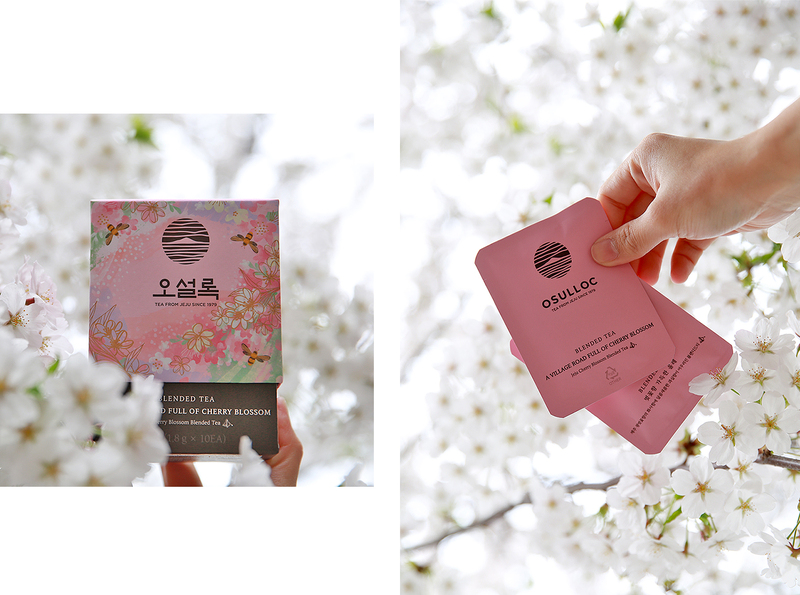 OSULLOC has been my go to Korean tea brand and I'm honored to be teaming up with them for the next couple of months as I'll be reviewing some of OSULLOC's tea selection and products that I hope would be of use when you find yourself overwhelmed by the wide selection they have to offer. So, while I drink my dose of coffee in the mornings, I'm now balancing my overly depending caffeine needs by opting for tea in the afternoons instead. 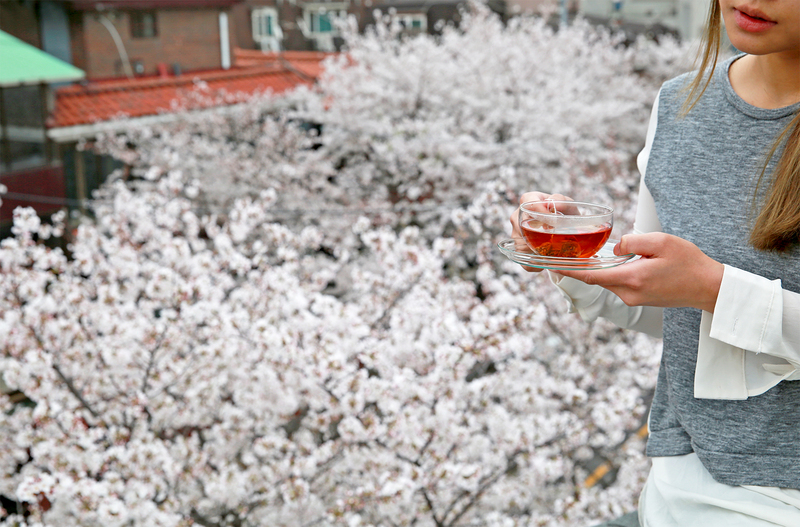 Today, I'm sipping on a cup of Jeju Cherry Blossom Blended Tea which has an aroma of floral rose and cherry scent with a slight woody aftertaste which is amazing for people who enjoys a robust cup. There are 10 separately packed sachets in this beautiful box and the brewing time only takes 2mins. I personally enjoy having my tea without any sweetener and if you do too, this blended tea is everything but bland. This is one of my personal (and a crowd) favorite blended tea pick that I'll recommend to friends and family who is new to the OSULLOC brand. Till the next tea review, enjoy your tearrific weekend!